We’re now moving away from the debate that arose initially out of Chaadaev’s “First Philosophical Letter” and dominated Russian intellectual life in the 1830s and 1840s. In the next generation a different set of questions and ideas dominated, although we can still in many ways characterize their main preoccupation as being with “the person” – one of our key themes. For the Westernizers, the question of the person had taken its most prominent form in Herzen’s emphasis on freedom, while for the Slavophiles, the individual was subordinated to the collective, so here we can perhaps refer to the context in which the human being lives. For the next generation, the question of human nature itself comes to the foreground, but this also leads to ideas about the collective, and in particular the possibility of social reorganization for the sake of the human being. And in this latter question you can see that we are moving more firmly into approaches to changing the world, rather than just discussing it. As we enter the 1850s, the intellectual landscape already looks very different; the Slavophiles were still around, but the Westernizers no longer existed as a group: Belinsky died in 1848, Herzen was living in exile in Europe, and Bakunin, after taking part of the revolutions of 1848, was arrested in Dresden in 1849, deported to Russia, and imprisoned in the Peter and Paul Fortress in Petersburg. Gogol’s death in 1852, and Dostoevsky’s imprisonment, heralded significant changes in the literary scene as well, with the newer prose writers Ivan Goncharov (1812-1891), Ivan Turgenev (1818-18883), and Lev Tolstoi (1826-1910) coming to prominence, alongside the playwright Alexander Ostrovsky (1823-1886) – firmly establishing the age of realism. The political environment was also very much in the process of transition in this period. Following the oppressive reign of Nicholas I, the accession of Alexander II in 1855 ushered in an era of reform, spurred on, in particular, by defeat in the Crimean war. This led, most significantly, to the emancipation of the serfs in 1861, but also to judicial and local government reforms. the term [Nihilist] referred to those who claimed to accept nothing on authority or faith, neither religious beliefs nor moral ideas nor social and political theories, unless they could be proved by reason or verified in terms of social utility. In other words, Nihilism was a negative attitude to tradition, to authority, whether ecclesiastical or political, and to uncriticized custom, coupled with a belief in the power and utility of scientific knowledge. So the Nihilists were thinkers who, like Herzen, emphasized knowledge. They were therefore not revolutionaries as such – none of them was directly involved in revolutionary activity – but they rejected what they saw as the timidity and liberalism of the previous generation in favour of a much more radical position. Their success in articulating a new radicalism can be judged by the fact that their writing became very important in kick-starting the revolutionary movement, and this is also reflected in the fact that the term “Nihilism” became synonymous with “revolutionary” way beyond Russia’s borders in the second half of the nineteenth century. For a very curious example that indicates the level of interest in Russian Nihilists in British culture in the late nineteenth century, see here. 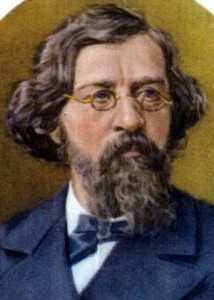 The leading figure of the original group of Nihilists was Nikolai Chernyshevsky (1828-1889), a priest’s son from Saratov, who attended his local theological seminary prior to studying philosophy and history at Petersburg university, where he became influenced by Belinsky and the French Utopian socialists, and gradually lost his Christian faith. His main philosophical works were “The Aesthetic Relationship of Art to Reality” (1855) and “The Anthropological Principle in Philosophy” (1860), but his radicalism precluded a university career, and after a stint working in a high school, he began working for the most prominent radical journal, Sovremennik (The Contemporary), and shifted towards more polemical and literary-critical writing. The Nihilists can be seen as the original source of Bolshevism (Ulam, p. 28), but a lot of their writing concerned literature and used ostensibly literary topics to debate radical ideas (thereby following in the footsteps of Belinsky, whose heirs they proclaimed themselves; Venturi, p. 143). This was certainly true of the two other main figures in this movement, Nikolai Dobrolyubov (1836-1861) – like Chernyshevsky the son of a priest – and Dmitry Pisarev (1840-1868), who was from a noble family fallen on hard times. Both Chernyshevsky and Pisarev were arrested in 1862 – the former for connections to the first revolutionary organization Zemlia i volia (Land and Will) and to Herzen, the latter for trying to publish a proclamation defending Herzen and calling for the destruction of the monarchy. Pisarev spent four and a half years in the Peter and Paul Fortress, and drowned shortly after his release (this was possibly suicide). Chernyshevsky was sentenced to hard labour and spent most of the rest of his life in Siberia, returning to European Russia only in 1883; because of his treatment he became a revolutionary martyr. So they were viewed as dangerous figures. For this lecture, focusing mainly on Chernyshevsky, I want to examine what it was about their thinking that was so radical, and the role of the artistic debate in that. I will touch on how they influenced subsequent generations of revolutionaries, but I am going to deal solely with the philosophical/literary origins of this movement and not on Chernyshevsky’s political writings on Populism and the Russian commune, where he was also very influential (Populism will be the subject of the first lecture next term). The Nihilists […] sought the liberation of human beings from shackles imposed on them by social convention, the family and religion, but they believed that this goal would be attained through the spread of a scientific outlook (Copleston, p. 103; my emphasis). Chernyshevskii discusses what were in his time the most recent and thrilling discoveries of the chemists […]. He outlines the findings that plant, animal and human tissues are complex chemical substances, “organic compounds,” “carbon compounds,” in no way different from the organic compounds of metal and rocks. (Randall, p. 76). a man is good when in order to gain pleasure for himself he has to do what is pleasant for others; he is bad when he is forced to derive his pleasure from the infliction of what is unpleasant for others (Chernyshevsky, “Anthropological Principle”, p. 217). Chernyshevsky’s concern [is] to persuade the reader of the general applicability of the scientific method […]. Iron laws as rigid as those employed in the study of nature’s chemical composition could be applied to the study of history, society and man’s behaviour. […] The “alliance of the exact sciences, under the direction of mathematics, that is counting, weights and measures,” extended every year to new areas of knowledge, and even the moral sciences were now entering it. Once the new method had conquered so much territory there seemed to be no reason why man’s future history could not be regulated with its assistance: it ought to be possible, if one gathered enough information beforehand, to predict “with mathematical exactitude” the results of contemplated change (Offord, p. 518). Much of Chernyshevsky’s reasoning involves taking examples from the animal world to compare to human behaviour, or extrapolating from very straightforward moral dilemmas, to prove his points. He can be criticized for this – the examples he uses often seem trivial, there are frequently holes in his reasoning, and he often seems to over-egg the pudding of physiological reductionism. But for all the faults in his reasoning, what he is trying to do is significant: to apply the scientific method consistently, in order to show how it can be used to enhance the study of mankind, and to suggest that such methods will ultimately become commonplace. The reason we find it difficult to accept his examples, his argument implies, is that we are simply unused to this new type of reasoning and are judging it in the light of old-fashioned beliefs in God and human duality. Nevertheless, a lot of his reasoning now looks very facile and suspect. Another criticism is that rational egoism appears to advocate individual self-assertion, and therefore be very far from a civilized or social ethical system. Chernyshevsky gets round this by stating that the same principle applies on a larger scale, with society standing above individual interests, and mankind as a whole above society. He claims that acting against the interests either of the individual or these broader groups results in self-destruction; if individuals do not behave socially, therefore, “their individual pleasure-seeking will be thwarted and [they] will be destroyed” (Randall, p. 85). Thus what is in the best interests of society is in the best interests of the individual, and the enlightened person will see this and act accordingly, fulfilling both at the same time. This concept of selfishness in the service of others is developed in Pisarev’s 1865 essay “The Thinking Proletariat,” which we’ll discuss in our seminar. Thus far from being individualistic, this philosophy is aimed at transforming society, and is implicitly revolutionary (such things can never be stated openly) because it suggests that it is only by removing the inequalities of life (the circumstances that cause some people to behave badly and harm others), that a situation will be reached where nobody will need to harm others because and everybody’s interests will be the same, and their pleasure-seeking will not conflict with anybody else’s (Randall, p. 81). Given then entrenched inequalities and conflicts of life, such a situation could only come about through a revolution. The philosophy of rational egoism that Chernyshevsky expounded in his essay “The Anthropological Principle in Philosophy” found its clearest expression in his 1863 novel What is to be Done? (Chto delat’? ), which he wrote in prison and which was published in Sovremennik after a comedy of errors involving the police, the publishers and the censors (see Katz and Wagner, pp. 22-3). What is to be Done? was an absolute hit, and it is no exaggeration to describe it as the most influential novel of its time in Russia; certainly, in terms of its social and ideological impact it was much more significant than the other major works of the decade, which, let us not forget, included Crime and Punishment, War and Peace, and Fathers and Sons. It is also overlong, tendentious, poorly written, with wooden characters behaving improbably in improbable situations. It describes a group of young people from Petersburg, who arrange their lives on rational principles. There are marriages of convenience to escape tyrannical parents and enable prostitutes to reform, and a sewing co-operative is formed to pool resources and profits for the benefit of all: “enlightened individuals recognized that the maximization of society’s interests also best served their personal interests because their welfare depended directly on society’s general level of prosperity.” (Katz and Wagner, pp. 17-18). There is a steadfast revolutionary, Rakhmetov, a superhuman figure who eat unfeasible amount of raw meat and sleeps on a bed of nails to strengthen his mind and body, but the main characters are essentially ordinary – the implication being that anyone can follow their example. And people did indeed try to emulate the book, setting up communes and co-operatives to live according to the same rational principles – although these attempts were largely unsuccessful. Nevertheless, What is to be Done? became almost a handbook for revolutionary activity, and was so important to Lenin that he named his 1902 treatise on party organization in its honour. But the novel goes further than this, because it also contains an image of society transformed, after the revolution. Vera Pavlovna’s Fourth Dream portrays a socialist utopia of equality, communal life, pleasurable work for the good of all, and joyful leisure – including references to free love (which were racy enough to lead to this chapter of the book being removed from an early translation into English). We will return to the utopian aspects of this dream in more detail next term, but in terms of the immediate debates in the 1860s, its depiction is significant for two particular reasons. 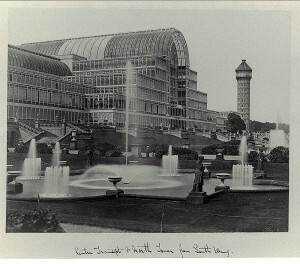 The first is that this dream in the novel describes the Crystal Palace as the only present-day building that resembles the glass and steel palace that future generations will live in. 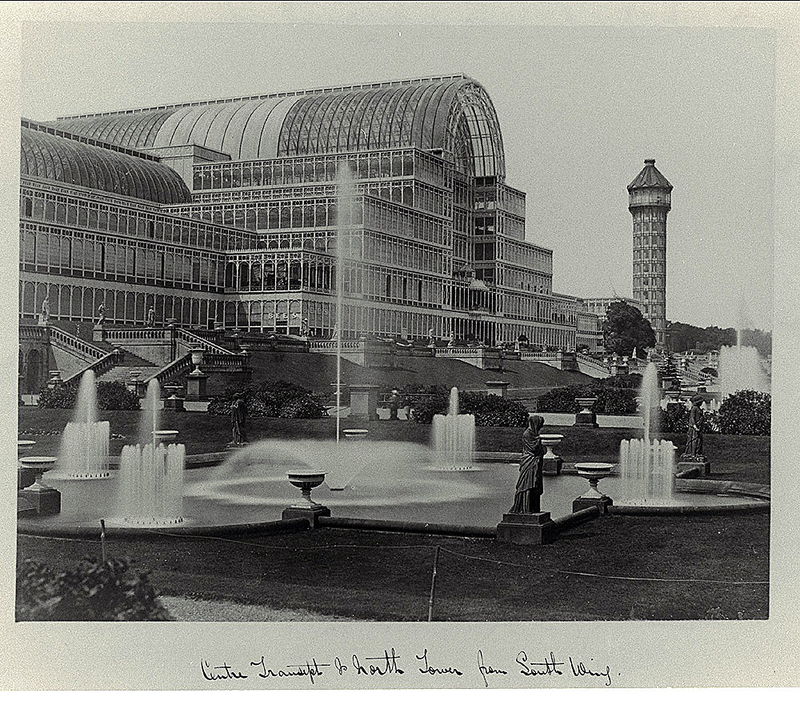 Built in Hyde Park for the 1851 Great Exhibition, and then relocated to Sydenham in South London, the Crystal Palace was seen as an extraordinary symbol of modernity and progress. It was widely discussed in the Russian press in the 1850s, and Chernyshevsky wrote a review of its building, contents and grounds for Sovremennik after the reopening in Sydenham in 1854 (I discuss this here). But it was in the 1860s that it became a very prominent literary image, through Chernyshevsky’s utopian vision and Dostoevsky’s counter-argument, in Notes from Underground and elsewhere, that the Crystal Palace represents not humankind’s freedom, but its enslavement (which I will discuss in more detail in the next lecture). Through that debate, the Crystal Palace achieved iconic status in Russian literature, and its utopian and dystopian associations continue into the twentieth century with Evgeny Zamyatin’s 1921 novel We, where the buildings of OneState are made of glass and enable permanent surveillance. So while one might criticize the literary merits of What is to be Done?, it certainly had a lasting effect on literature beyond its social impact. From the 1860s onwards, a significant number of women became actively involved in the revolutionary movement – in particular in Narodnaya volya (The People’s Will) and subsequently the Socialist Revolutionaries (SRs) and Mensheviks (Cathy Porter’s study Fathers and Daughters is a very readable account of women revolutionaries), and the role of Chernyshevsky’s novel in initiating that process and providing a model for young women to emulate should not be underestimated. under the disguise of an aesthetic treatise he wanted to encourage man to abandon romantic dreams which always accompany “a man in a false position” […] he urged the reader not to be deceived by useless perfection, but rather to create a realistic mentality (Venturi, p. 142). Built, like his rational egoism, on a scientific outlook, “the crux of [Chernyshevsky’s] materialist aesthetics was the assertion that since it is not possible for the mind to conceive of anything that cannot be perceived by the senses, nothing can be more beautiful than what is in nature” (Pereira, p. 40). The most general thing of all that is dear to man, and the thing most dear to him on earth is life; in the most immediate way the life he would like to lead; then any life, because it is better in any case to be alive than not to be alive […] And it seems that the definition “the beautiful is life”; “beautiful is that being in which we see life as it should be according to our concepts; beautiful is that object which manifests life in itself or brings life to our minds” – it seems that this definition satisfactorily explains all instances that arouse in us a sense of the beautiful (Chernyshevsky, “The Aesthetic Relation of Art to Reality,”, pp. 286-7; in Leatherbarrow and Offord, p. 199). Moreover the notion of beauty he establishes is clearly socially constructed, as we see in his comparison of the robust beauty of the peasant girl and the pallid, weak ideal of aristocratic beauty that proclaims the woman’s unfitness for work (Chernyshevsky, “Aesthetic Relation,” pp. 287-8; in Leatherbarrow and Offord, p. 199). Again we can see here the revolutionary subtext of challenging élite notions of art (and life) and replacing them with down-to-earth, realistic conceptions. Chernyshevsky proceeds to attack the Hegelian aesthetic which postulates the existence of a beauty superior to that in everyday reality and accessible through art. His rejection of this aesthetic involves inversion of the relationship it describes between beauty and reality. Beauty for Chernyshevsky is inferior to reality. It is redefined as that which is most suggestive of life in its healthy manifestations. The pursuit of beauty conceived in the Hegelian way is for him a quest divorced from contemporary reality. The function of art becomes correspondingly menial: art should merely reproduce reality, introduce people to concepts unfamiliar to them, serve as a “handbook for the person beginning to study life,” and, Chernyshevsky adds, contribute by its examination of reality to the improvement of man’s condition. an object or an event may be more intelligible in a poetical work than in reality, but the only merit we recognize in that is the clear and vivid allusion to reality; we do not attach independent significance to it as something that could compete with the fullness of real life (Chernyshevskii, “Aestheitc Relationship,” p. 374). The realist basis of Chernyshevsky’s aesthetic theory links it to Belinsky’s, but he subordinates art to life, so that art becomes little more than an aid to studying life, and therefore is a somewhat inferior substitute for life; reality is always seen as superior to the reproduction. His views have for this reason come in for a good deal of criticism, and are not seen as comparable with his predecessor’s more rounded view; Victor Terras (p. 237) rather snottily asserts that Chernyshevsky’s “argument is that of a man who is not only uninterested in art, but who actually has never bothered to find out what art is. It is the argument of a man unfamiliar with aesthetic experience.” When faced with a writer who viewed Nekrasov as a greater poet than Pushkin, because the former wrote for the people, while the latter did not (Ulam, p. 32), or one who apparently saw no difference between appreciation of the female form and appreciation of a work of art (as his frequent recourse to examples of female beauty suggests), we may be forced to agree. And such a view may perhaps be applied even more readily to Pisarev. He may be caricatured in the statements falsely accredited to him about boots being more useful than Pushkin, and a real apple being more beautiful than a picture of an apple, but in many ways his real views are hardly less utilitarian. It is hard sometimes to see beyond his apparently philistine dismissal of art. But the fact that these thinkers worked primarily in the field of literary criticism suggests that they did see some use for art, and that there is more to their outlook than initially meets the eye. James Scanlan (pp. 6-9) shows the nuances in their theories by examining them in context. Thus he argues that Chernyshevsky’s idea that art has to have human significance, that realism must be employed in the service of human needs, that art has a didactic duty to explain reality and moral duty to evaluate it, should be viewed in the context of the reality of the time that could not be mentioned openly, the Crimean war. Although we may question whether this explaining and evaluating function is a sufficient definition of art, or whether the content of art should be found in real life alone, Scanlan notes that is can be seen in this light, and that, for example, the realist art of the Peredvizhniki (The Wanderers) takes its cue from Chernyshevsky’s ideas. art that was frivolous or merely routine – something that is a product of sheer caprice, habituation, or inertia and that consequently has no enduring foundation in human life. Aesthetics for Pisarev is the sphere of what pleases people for no good reason (Scanlan p. 2). So in effect Pisarev’s attack, for all his radical statements, is on art that is not socially conscious, and like Chernyshevsky, he emphasized the social and scientific value of art, viewing the true artist as a thinker who contributes to debates about the development of society, and ultimately changes that society. Thus when confronted with criticisms such as, “in Černyševskij, in Dobroljubov […] one finds only too often statements to the effect that the moral and ideological merits of a given work allow one to overlook its stylistic deficiencies” (Terras, p. 176), we should be cautious. On the one hand Terras has a point, but on the other, this is judging socialist art (and art criticism) according to the criteria of bourgeois art, and therefore misses the point entirely; one of the most significant problems of bourgeois art, in the view of critics like Chernyshevsky and Pisarev, is its petty concern with stylistics, which diverts attention from the burning questions of society and leaves the status quo undisturbed. By definition, works which do not exhibit this failing but instead emphasize the social context and content are, for the nihilist critics, inevitably superior, because they provide necessary components for the improvement of society. Nevertheless, sociologically-focused essays like Dobrolyubov’s study of Oblomov, and Pisarev’s discussions of Bazarov from Fathers and Sons, Rakhmetov from What is to be Done?, and Raskolnikov from Crime and Punishment, did have an important impact in their time. It is significant that the focus of these literary-critical works was characters, emphasizing their view of the foundation of literature in human life and its role in providing models (positive and negative) for behaviour. And it’s the connection of those two questions, of human life and literature, that will form the basis of our discussion next week; we will use the seminar to explore: 1) the validity of Chernyshevsky’s view of human nature in “The Anthropological Principle”; and 2) the ways in which Pisarev develops Chernyshevsky’s ideas and places them within a literary context.